For most, the Internet is little more than a glorified science fair. People create something with a computer and then post it online for the planet to evaluate. Whether it's a Facebook status update, a poem about the delicate nuances of young love or a cell phone video of grandpa taking a golf ball to the prunes, the Internet is essentially a two-part exchange between the author and the viewer. Conversationally, the digital revolution boils down to this: "Hey, check this out." What if this model were smashed? What if someone changed our understanding of what the Internet could be, and in doing so, created an explosive new artistic movement? And let's get even crazier--what if people were actually paid for their content? As you read these words, this revolution is already underway, spearheaded by actor Joseph Gordon-Levitt and conducted from his electric online community, hitRECord.org ("record" pronounced as a verb, not a noun). 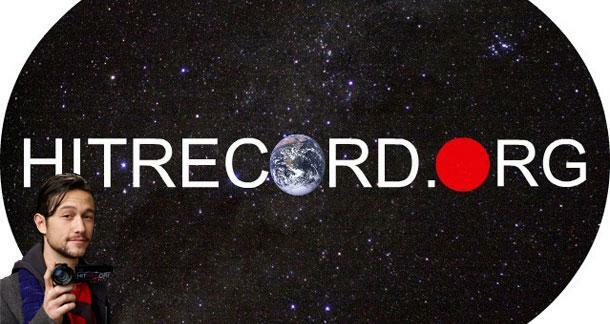 Founded in 2010, hitRECord is an "open collaborative production company" where members can contribute work in various forms including music, videos, text and drawings. Other members are encouraged to download this content and then re-mix, edit and re-submit it as their own new work. "It's not theft," explains Gordon-Levitt, "It's just how we work together." Everything submitted is fair game--even your profile picture is available for other members to transform or incorporate into their own content. Contributions are then synthesized into larger art forms such as movies, books and even live events, where collaborations are both presented and simultaneously created. The resultant buzz surrounding this initiative has been massive. "Hollywood can be, you know . . . a bit exclusive," says Gordon-Levitt in the site's welcome video, "There's so many great artists all over the world, doing great work. This is my way to work with them. By 'them,' I mean hopefully you." Registration is free and to date, 60,000 have joined, uploading hundreds of thousands of multimedia contributions. With an average of 1,000 new contributions and 100 new members added each day, the site is gathering mass and momentum like the proverbial snowball rolling down a mountain. While members are free to tool around on the site, uploading and mashing submissions, the real excitement lies in group collaborations, where teams assemble from across the globe to collaborate on a larger project. For example, a member will post a video in which he or she describes a concept for a short film. 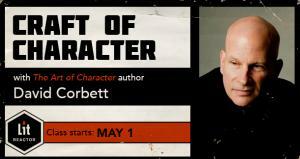 That person--the director--spells out what they need to bring their vision to life. Maybe they'll need some illustrators for characters and title sequences, some composers to write music for the film and a couple voiceover artists for dialogue. Giving as much detail as they feel is appropriate, the director opens the collaboration up to the hitRECord community and waits for submissions. The director then integrates these resources into a unified work--here, a short film, although it could be a book, an album or any other form of digital art. What distinguishes hitRECord from other online communities is its financial component. When any project makes money, half of the profits go back into the site and the other half is paid out to each contributor whose work was incorporated in that project. Now dig this: in its first year alone, hitRECord cut $50,000 in checks to members of the community. So what's the source of this revenue? 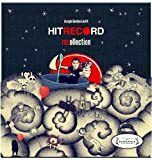 hitRECord's inaugural publication, hitRECord RECollection: Volume 1, is multimedia anthology complete with a DVD, lyrics, illustrations and poems. 500 collaborators contributed 1200 pieces to the release, including Gordon-Levitt himself, who sings on a number of the songs appearing on the anthology's CD. Available for sale at both the hitRECord site and all major online retailers, the work has been uniformly praised for the depth and quality of the content as well as its polished execution. On a somewhat larger scale, a documentary about dreams created by the hitRECord community appears on the Inception DVD, a movie in which Gordon-Levitt appeared. Would this work without Gordon-Levitt's name behind it? Perhaps not, but it bears mentioning that Gordon-Levitt is more than simply a celebrity spokesperson. He is the site's founder and visionary--an active collaborator himself, directing his own collaborations and participating in others. With his easy smile and back-slapping enthusiasm, he both welcomes and inspires his co-collaborators ("you"), providing them with a rich and dynamic online laboratory for creating anything their mind might conceive. In 2011, the site inked a three-book deal with HarperCollins' It Books, the first of which is The Tiny Book of Tiny Stories: Volume 1. It is a halcyon example of how the site works: a hitRECord collaboration was created for the "Tiny Stories" project and contributors uploaded over 8,000 stories, pieces of art and illustrations. Volume 1 represents the works of 60 collaborators to that project, all of whom will receive a portion of the book's sales. Transcending the broadband dimension, Gordon-Levitt has taken the show on the road, hosting live, interactive events with stops at Sundance, South by Southwest, and the British Film Institute, as well as colleges, bars and auditoriums. At these events, Gordon-Levitt acts as emcee, presenting finished works from the site, conversing with the audience and engaging them to perform and create unique new content on the spot. This exemplifies the mindset behind the site and the reason for its viral popularity. Just when you think hitRECord is a fully-contained online art community, he takes the entire process offline. This refusal to operate within the box is the mindset that drives the community of hitRECord and the secret ingredient to its stunning success.